It’s non-stop international duties for our sailors at the moment. Cillian Foster and Team Mum Ruth McSweeney landed in Bulgaria today for the European Championships – good luck to both! 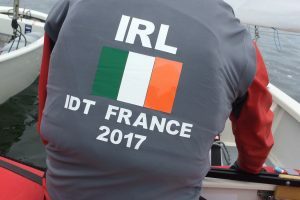 Meanwhile, last weekend saw the return of the IDT France cohort from the Couple International d’Eté, held in a lake 3 miles from the coast near Bordeaux. Royal Cork sailors made up the majority of the 7-strong team, with Kate Horgan, Eimer McMorrow-Moriarty, Harry Pritchard and James Dwyer Matthews all travelling as part of the squad. The team saw a complete range of breeze from lots to none, losing the last day of racing on a flat calm lake. Harry Pritchard was probably happy with that, finishing his event in a tremendous 5th place overall (Gold Fleet) with 8 top 10 results. He was under pressure from James, however, who finished 7th and had four 2nd place results. 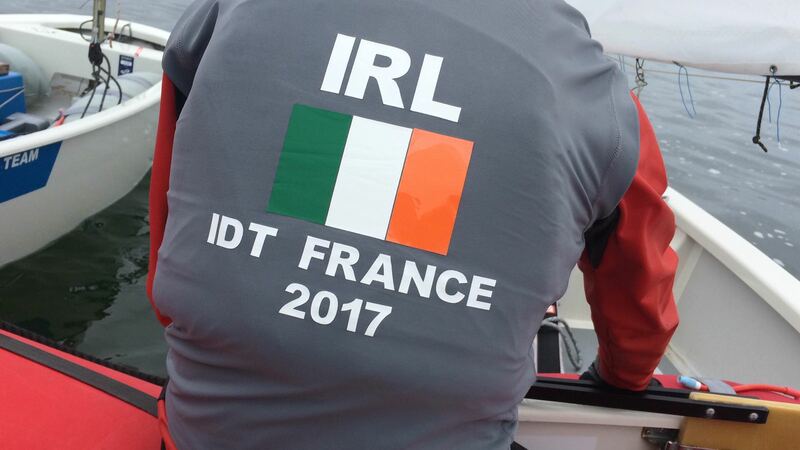 Eimer ended her regatta in 16th Silver, and Kate suffered from 2 BFDs early in the week, carrying one in her final score for 24th Silver. Also just returned from their Thailand travels are Harry Twomey and Justin Lucas. Harry captained the Irish team to a record 9th place in the team racing event, and Justin had a tremendous 38th overall and two top ten finishes at the Optimist Worlds. 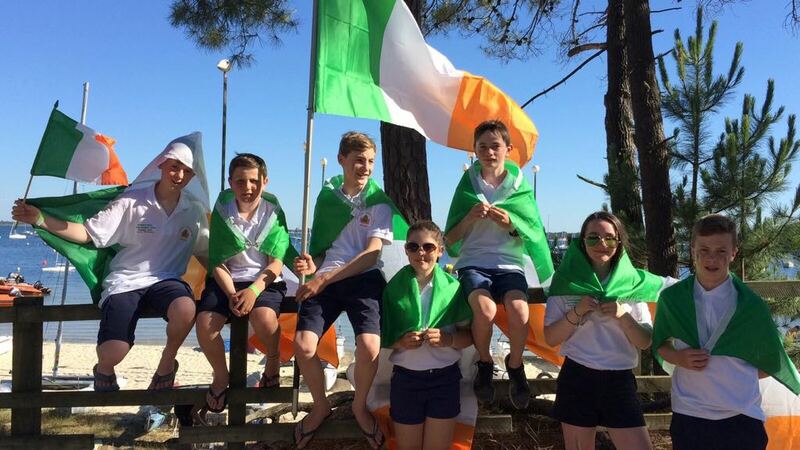 Well done to all our sailors, who figuratively and literally flew the flag for Ireland and the Royal Cork!